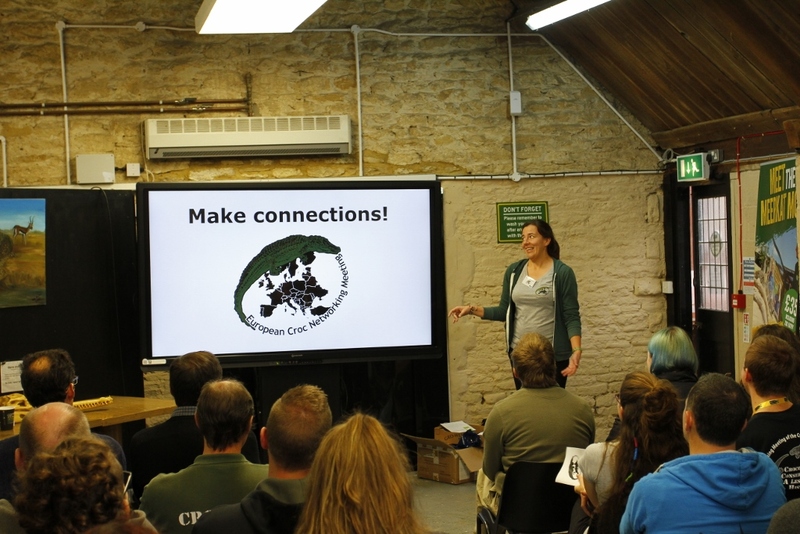 The very first European Croc Networking Meeting (ECNM) can be summed up as short but sweet. Like Stevia. Ridiculously sweet. The ECNM were the brain-child of some of the European members of the IUCN-SSC Crocodile Specialist Group (CSG) who met at the 2016 biannual meeting in Skukuza, South Africa. The ECNM is intended to be an opportunity for the people working on-, or those just curious about-, crocs in Europe to come together and share their knowledge and information. The ECNMs purpose is to showcase what’s being done on croc research, husbandry and conservation on the croc-free continent. 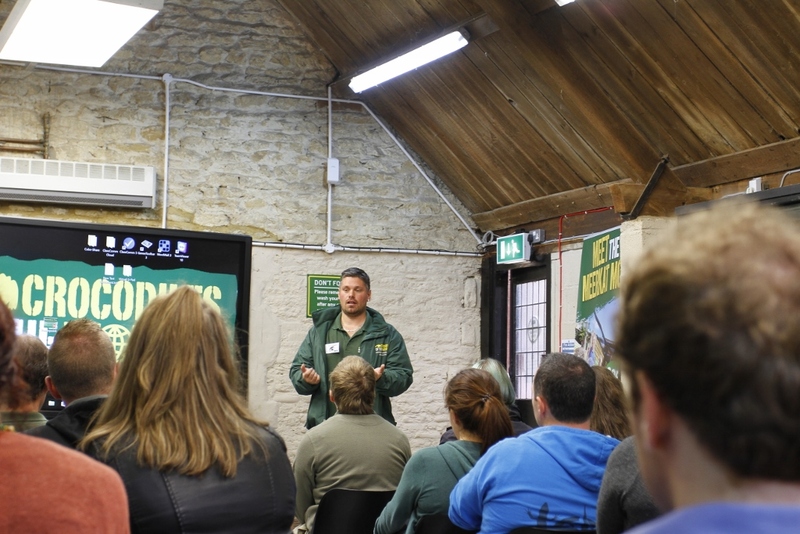 Britain’s only crocodile zoo, Crocodiles of the World, hosted the event in beautiful Oxfordshire surroundings. With rolling green hills and sheep as far as your eye can see, the scene was set for the very first all European networking meeting for crocodile enthusiasts. Shaun Foggett founder and owner of crocodiles of the world, the UK’s only specialist crocodile zoo, which hosted the conference. Arriving in Oxfordshire on Thursday night gave me a chance to check out the surroundings before the conference started. Visiting the Natural History museum in Oxford turned out to be a great warm up to the conference. With a large collection of crocodile related information on display, the museum showcased how much interest there really are for these ancient reptiles. Friday came and the organizers had put together a get-to-know-some-croc-people mixer at Crocodiles of the world (CoTW). Who would have ever thought driving through the rolling green hills and sleepy little villages, that eighteen species of crocodiles are located just a spit away from the highway? CoTW can boast two large display halls with an impressive collection of crocs and lizards, a few cute mamals, and some exotic birds. 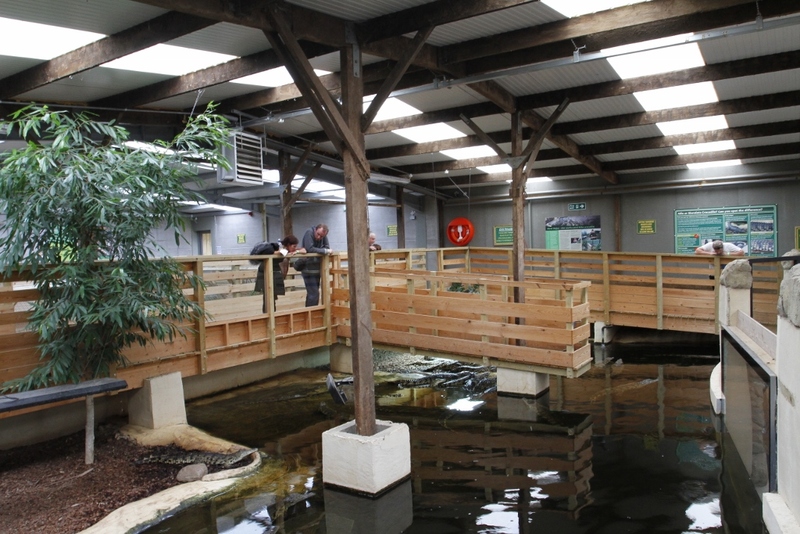 Everything put together over just five years by the owner and director Shaun Foggett who followed his dream of building his very own crocodile zoo after a life changing experience. Follow your dreams, especially if you dream of crocodiles were pretty much what is message was, even if I might be paraphrasing a bit here. Agata Staniewicz a crocodile conservation scientist specialising in the secretive Tomistoma or false gharial. Explaining her extremely “sticky situation” of accidentally gluing herself to a Tomistoma! The main event for croc-crazy people were the Saturday conference. Aimed at students and enthusiasts who want to work with crocs, volunteer or do research, the conference boasted some amazing speakers such as; Simon Pooley, the guy who knows everything about crocodiles cultural role and their history and conflict with humans. Fabian Schmidt, the reptile curator at Leipzig Zoo and the Vice Chair of CSG Europe. Colin Stevenson, the head of education at CoTW and a man with more than thirty years of crocodile experience. And of course, Agata Staniewicz, crocodile acoustic researcher extraordinaire and the girl who glued herself to a crocodile, twice (look it up here). Plus several other speakers with (probably) 300 years of combined crocodile experience. 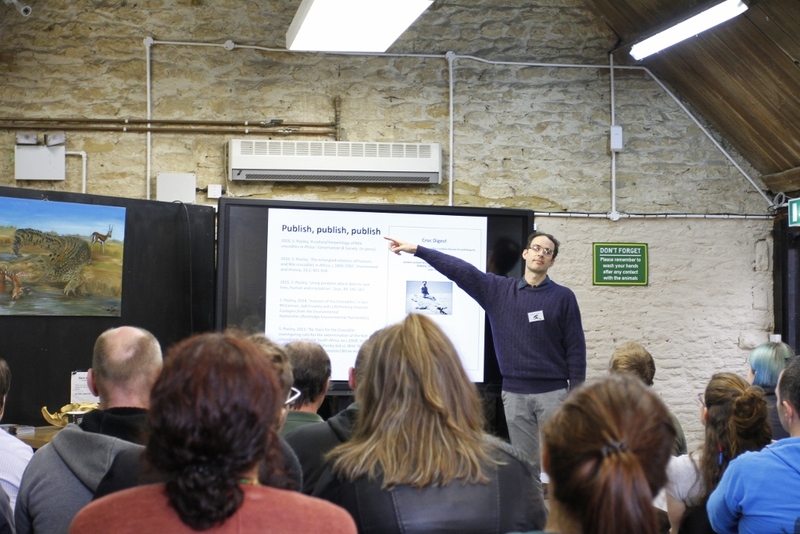 Needless to say, the presentation part of the conference was riddled with interesting talks about all things croc. From research, to personal experiences, education and skin trade, here you got the quick intro to crocodile conservation. Simon Pooley a world re-known expert on human-crocodile conflict and cultural significance of crocodiles, explaining the importance of publishing crocodile research in order to aid in their conservation. After the presentations, the organizers had prepared a croc-speed dating session where every new face got to sit down with experienced crocodile keepers, researchers, and enthusiasts to get an introduction to all the possibilities one have while working with crocodiles. Side note; Thank you to Ashley Pearcy who honored me by seating me with the experienced crocodile people. I don’t know if that was justified by my (almost) one year of crocodile work. But hey! Who am I to complain about being elevated to expert already? After a long day of talking, pizza, cupcakes and speed dating, it was time for the very first Croc Fest UK! Croc Fest is an event Created by Shawn Heflick, biologist and croc wrangler supreme. His events have one purpose; to raise money for crocodile conservation while having fun with other conservationists and croc-nuts. Until 2016 it has only been held in the US, but this year the Croc Fest team expanded abroad to Canada, and of course, the UK. Shaun Foggett and his team at CoTW worked extremely hard to get all the practicalities in place. Good food and music, crocodile feedings, an auction, a mechanical crocodile ride, and heaps of fun. At the end of the event they had managed to raise a good amount of money for Project Mecistops and Matthew Shirleys work on the African slender snouted crocodile. Shirleys work is very important because we know very little about this critically endangered species. The main threats to the slender snouted crocodile is habitat destruction and hunting for bush meat, as well as revenge killings for loss of livestock. Shirley is working hard to mediate conflict and save crocodiles in West-Africa. This money is well placed and well deserved! 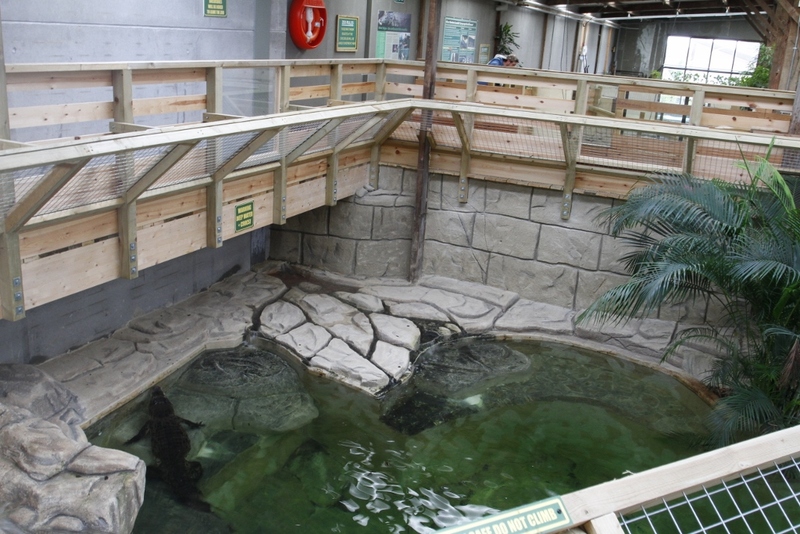 Some of the beautifully set up and designed crocodile enclosures at crocodiles of the world. After attending the ECNM and Croc Fest UK I am struck by the fact that this was very well organized. This was the very first of two rather demanding events and the organizers, Ashley Pearcy and Agata Staniewicz, made a bang-up job coordinating everything with the hosts at CoTW. Besides a small Skype glitch with the connection with Marisa Tellez in Belize, everything went smoothly. A great set of speakers, a lot of new faces from all over Europe, good music, crocodiles, and a successful fundraiser, could you ask for more? Agata and Ashley vowed to this being the first ANNUAL ECNM, and I am looking forward to the next one. I’ll see you there for all things Croc!